The NWCTP is a professional wildlife control training program created by a coalition of universities, government agencies, and private industry to help prevent and control damage from wildlife. 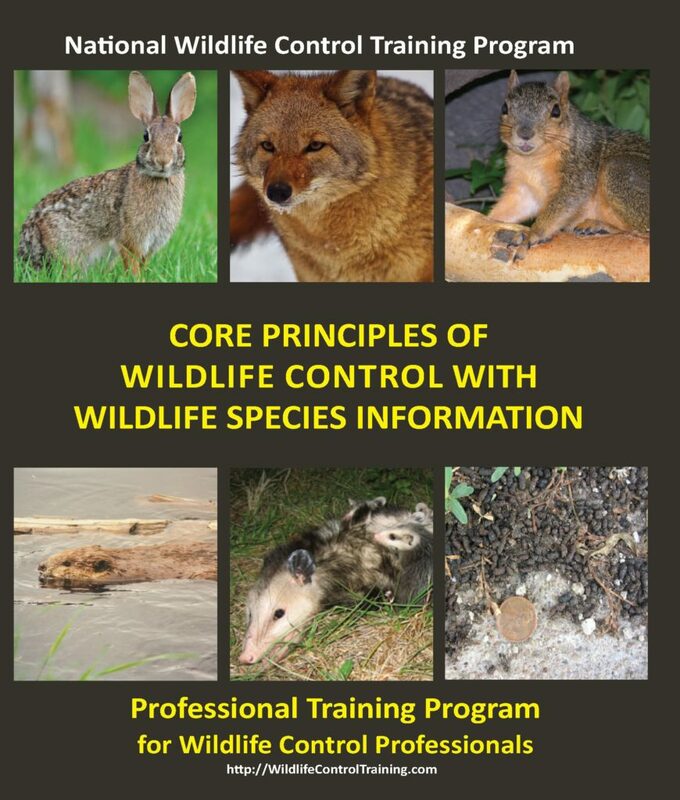 Core Principles of Wildlife Control is the best printed training manual for wildlife control professionals. You can get the same great training program online with digital versions of the book, topic by topic course modules, quizzes and a final test that leads to certification of competency. Need Training/Licensing Materials for WCOs? Shop our store! Get the best wildlife control training manual available! Guaranteed to make your job easier in the field. The NWCTP has the best animal control and damage prevention information in the country. Compiled by wildlife biologists, professors of wildlife damage management, and experts from government and private agencies. Complete with biological information and the latest damage prevention and control methods. Written and reviewed by leaders in the wildlife control community, the training manual is designed to provide the core training for wildlife control operators throughout the U.S. and Canada. The focus is on the practical, necessary information needed to resolve wildlife conflicts using best practices in safe and effective ways.